Sometimes you want to go around the home decor, but what you do not want is to get into great works. Because of the mess that they suppose and because maybe we do not have budget for it. But that does not mean that you cannot renew your rooms and today we are going to focus on the bedroom to offer you several ideas that will help you give a different and current look without doing works or spend much money on it. They are small changes but very effective. Do you dare to do them? 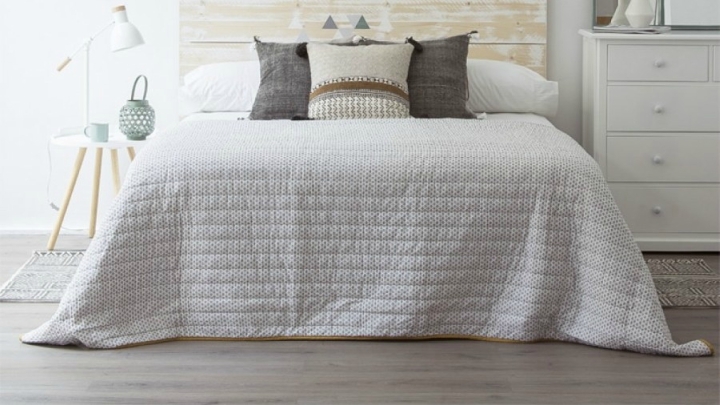 The perhaps simplest and really inexpensive way of renovating your bedroom is to change the furniture on site. That easy! You can follow the rules of Feng Shui or simply adapt to the shape of the room to distribute your furniture in a different way. You will see what change. If you want to renovate the floor of the bedroom you do not need to lift it or you get to do a work. A very practical solution is to color a vinyl floor. There are different finishes, which simulate wood or other materials. They are easy to put on and maintain, and will help you give your room a new look quickly and comfortably. 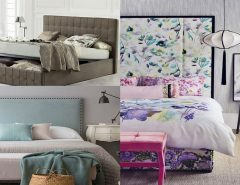 Only with changing the headboard will you notice a huge difference in the decoration of your bedroom. If you fancy and you are crafty, I encourage you to make a very original one with wooden panels or with pallets. You can leave them in the natural, treated with some varnish, or paint them of some color that you like and combine with the rest of the room. Pladur is a material with many possibilities. It’s easy to work with and it’s economical, and it can deliver a terrific result. You can make a pladur headboard with a modular structure that serves as a table, for example, or create a wall that divides the room (if large) and design a dressing room on the other side …. Imagination to power! 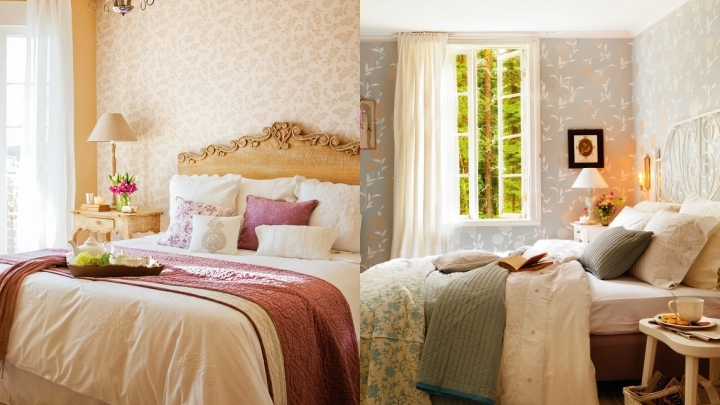 The wallpaper is an excellent choice to give a facelift to your bedroom. It allows you to fully customize the walls of the room , playing with colors and prints. You can put it only in one of the walls or in all of them, trying not to saturate the space with strong colors, since it is about seeking relaxation. 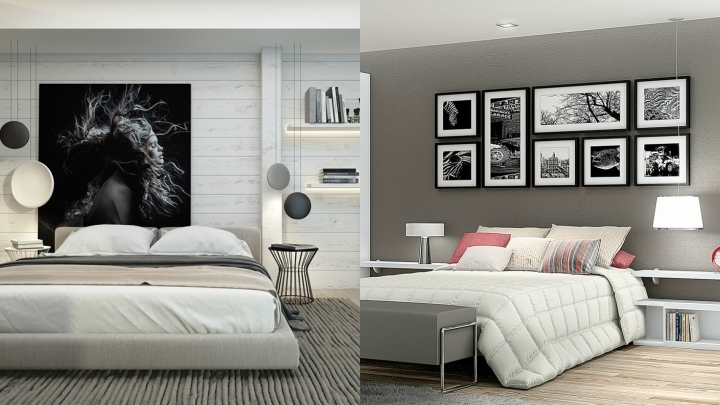 Another way of renovating the bedroom is to paint the walls of another color. If you have them white you can start by painting only one of a strong tone, for example, for that much contrast. Or if you want to paint them all for this stay the best thing is to opt for soft tones, pastels, that favor the rest. We keep thinking about the walls but this time I invite you to change (or include if you do not have) the pictures of your bedroom. You can put them on the wall of the headboard or any other, you can play with several in different sizes to create a composition or place a very large one that captures all the looks. They can be illustrations, photographs, paintings … Of the style that I go with you! Surely, you notice the difference. Vinyls are one of my fast and cheap solutions preferred to modify the home decoration without doing works. They help you customize furniture or walls, and you can change them whenever you want as they do not require special skills to place them or spend a lot of money on them. And you have many models to choose from!